(Courtesy of Skyridge High School) Chelsea Cook, a high school health teacher, is accused of shooting and killing her ex-husband's girlfriend. 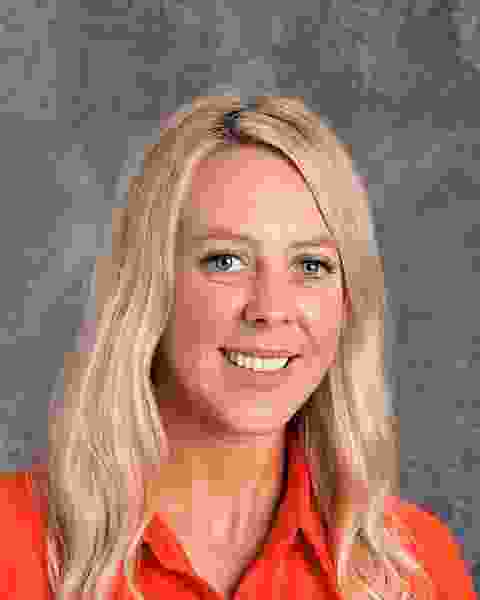 A Utah high school health teacher was arrested Sunday after police say she shot and killed her ex-husband’s girlfriend. Chelsea Watrous Cook, 32, was booked into the Salt Lake County jail on suspicion of aggravated murder on Sunday evening after she allegedly came to her ex’s apartment to give one of her children cold medicine, then pulled out a gun and fired it toward 26-year-old Lisa Vilate Williams. Williams was struck twice in the torso, according to a probable cause affidavit, and died later at a hospital. Cook’s ex-husband told police that the woman entered his Midvale apartment Sunday evening while he was out in the parking lot. She was told to leave, the man reported, but she refused to listen and locked herself in the bathroom while on the phone with a 911 operator. She then left the bathroom, according to the affidavit, and walked toward her coat. Cook’s 3-year-old twins witnessed the shooting, her ex-husband later told police. The ex-husband was able to take the gun away from Cook, he told police, and the woman sat on a recliner near her children while the man tried to help Williams. When Cook stood up and started to walk back to get her coat, the ex-husband pinned her against the wall and held her there until police arrived. Cook had worked as a health teacher at Skyridge High School in Lehi, though her staff page had been removed from the school’s website by midmorning Monday. She also is currently facing domestic violence charges in a Herriman justice court related to an Oct. 16 incident. Charging documents were sealed, so few details were available about the alleged crimes, though charging documents say she is accused of abuse in front of children. She has pleaded not guilty to two misdemeanor counts.